The UMF SS7834 78" Stainless Steel Large Storage Cabinet is the perfect solution for maintaining valuable equipment and precision instruments. 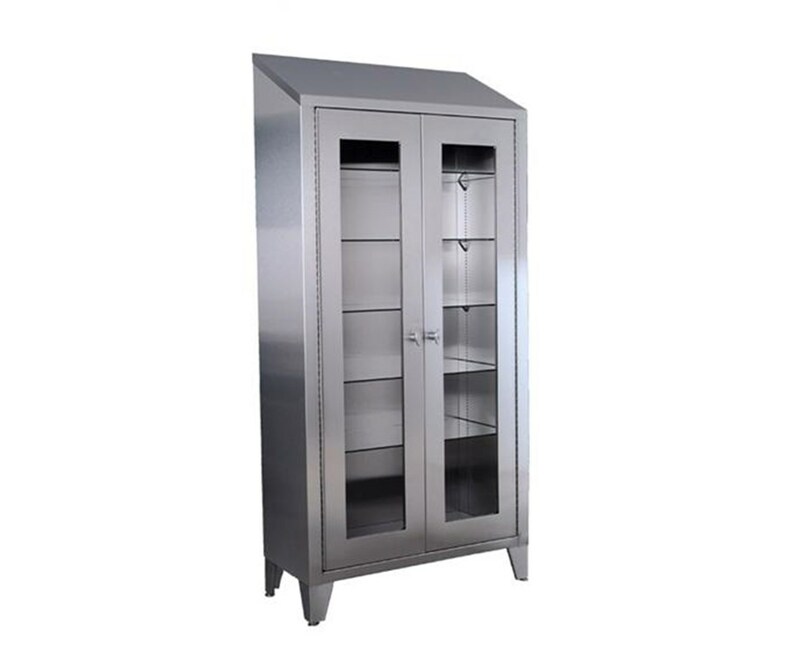 Constructed of 20 gauge stainless steel and welded for superior strength and rigidity, the storage and supply cabinet will hold up to the most demanding circumstances. 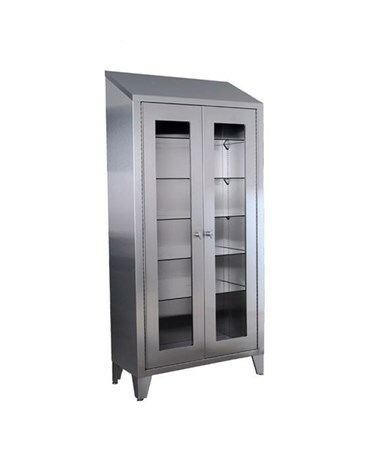 UMF designed, the stainless steel storage cabinet features an angled top, full height stainless steel hinged doors with glass panes, five adjustable stainless steel shelves, and adjustable leveling glides which ensure the cabinets smooth operation. With a generous 3 year warranty, the UMF Stainless Steel Large Storage Cabinet is an excellent choice for protecting and maintaining your equipment and instruments. Purchase this product online simply add to cart! Heavy duty, all-welded stainlesssteel construction. Five removable, adjustablestainless steel shelves. Full height, stainless steel slidingdoors with glass panes. Convenient T-handle door latcheswith lock.